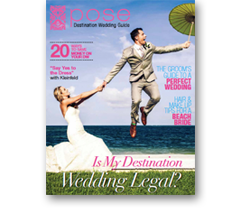 Pose Travel is a full service licensed travel agency specializing in affordable group travel for destination weddings. Congratulations on your engagement and deciding to have a destination wedding! Our wedding specialists have helped couples plan weddings around the world. Ready to start planning? Great! Let us provide you with some helpful tips, and show you how our company can assist you in planning your dream destination wedding. Group wedding travel can be tricky. Trying to select the perfect resort can be a task. There's an overwhelming number of options. Luckily, our wedding specialists have narrowed down the search to some resorts that stand out. Click below for more information and to find out what makes them different.